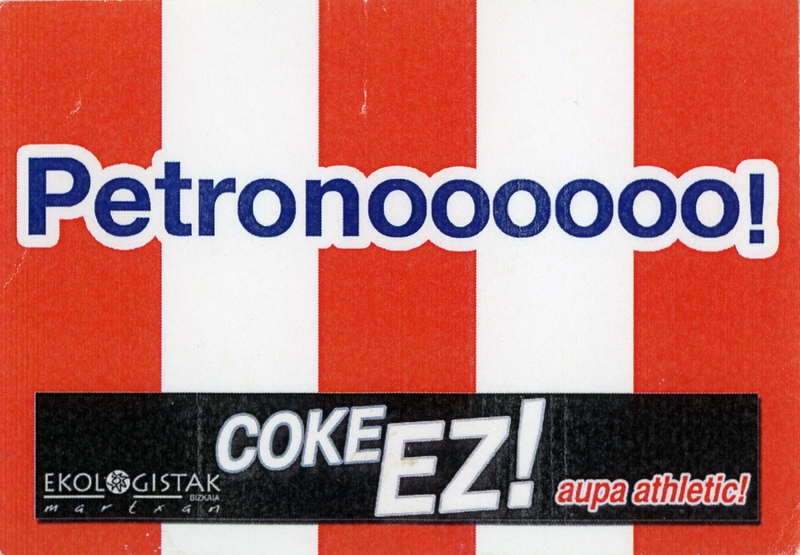 Coke EZ Aupa Athletic -- Ekologistak Martxan. The background of this sticker is the flag for Aupa Atheltic, a soccer team located in the Basque Country. The word "Petronoooooo" is writen in large letters on top of the flag, refering to the gas and oil company based out of the Basque Country. Petrono used to sponsor the team, showing their logo on the soccer jerseys, but on April 25, 2014 their 6 year contract came to an end.